We are The Back Room Chiropractic, a small friendly chiropractic clinic dedicated to getting our clients back to health and keeping them there. We are a limited company (no. 06792726). 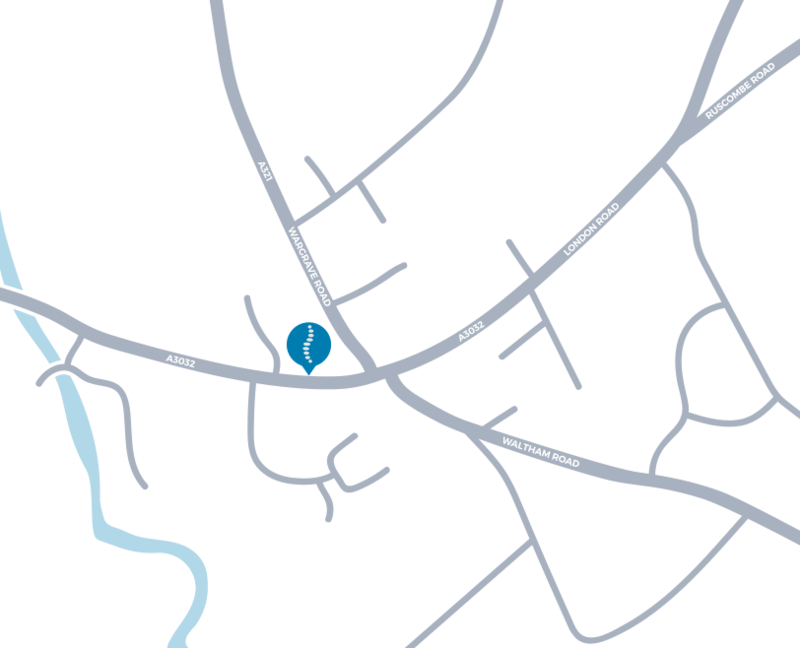 The registered address is 8 Leyburn Close, Woodley, Reading, Berkshire, RG5 4PX. In this section we will give information on the types of data we store, how we use it and where it is stored. To enable us to provide our services to you we must engage with service providers (Other companies), the service providers we use have been carefully selected to ensure that they comply with the high standards for data protection as defined by the ICO and have agreements in place with us to protect your data. Due to the nature of some of the cloud-based systems (Internet systems) we use it is not always possible to store the data within the European Union (EU). If we need to transfer your data outside of the EU we ensure the providers we use hold the same levels of protection required as if it were processed within the EU with the aim of ensuring that your privacy rights continue to be protected as outlined in this policy. None of our service providers use your personal data for their own reward or marketing. Below you will find details for all the different systems we use to process your data. When you book and appointment online or over the phone we will store your name, email address, telephone number, date of birth, address, appointment information and any information you have supplied in the notes section of the booking form. This information is used to ensure we can provide you with your appointment(s), contact you if necessary, and enable us to fulfil our contract with you to provide the services we offer. We also store your name, email address, telephone number, date of birth, address and appointment information to enable us, with your consent, to send you targeted emails and text messages for things such as missed appointments, ask for reviews and to remind you book in when you have not been for a while. If at any point you do not wish to receive this information just let us know by emailing GDPR@backroomchiro.co.uk (Or by using any of the contact details in the “Who to contact” section above) and we will remove your details from this service. As part of your treatment you may be asked to perform specific exercises, we will send you these exercises via email. With your consent we will store your name, email address and exercise plan in this system to enable us to be able to fulfil this requirement. If at any point you do not wish to receive this information just let us know by emailing GDPR@backroomchiro.co.uk (Or by using any of the contact details in the “Who to contact” section above) and we will remove your details from this service. Whilst you are receiving treatment from our clinic we will continue to store and use your personal data. Once treatment has been completed, and as suggested by our governing body (The GCC) we will be required to retain your personal data for a minimum of 8 years. This is slightly different for children (Under 18), where once treatment is completed we must hold onto their details until their 25th birthday or 26th birthday if they were 17 at the time of their last visit. Our only other retention policy is for potential patients that enquire or come in for a free assessment without ever booking an appointment, we will remove all personal details after 1 month. a right to restrict processing. You may request a copy of your data at any time. Please make such a request in writing or by email using the details in the “Who to contact” section above. Please provide the following information: Your name, address, telephone number, email address and details of the information you require. We will need to verify your identity, so we may ask for a copy of your passport, driving license and/or recent utility bill. If you believe we should erase your data, please contact us using the details in the “Who to contact” section. Although we and our providers do our upmost to protect your data there is always the possibility of breaches. Should your personal data that we control be lost, stolen or otherwise breached, where this constitutes a high risk to your rights and freedoms, we will contact you without delay. We will give you the contact details of the Data Protection Officer who is dealing with the breach, explain to you the nature of the breach and the steps we are taking to deal with it. Your access to and use of www.backroomchiro.co.uk (“the Website”) is subject exclusively to these Terms and Conditions. You will not use the Website for any purpose that is unlawful or prohibited by these Terms and Conditions. By using the Website you are fully accepting the terms, conditions and disclaimers contained in this notice. If you do not accept these Terms and Conditions you must immediately stop using the Website. 2 ADVICE – The contents of the Website do not constitute advice and should not be relied upon in making or refraining from making, any decision. 4 LINKS TO THIRD PARTY WEBSITES – The Website may include links to third party websites that are controlled and maintained by others. Any link to other websites is not an endorsement of such websites and you acknowledge and agree that we are not responsible for the content or availability of any such sites. 5.1 All copyright, trade marks and all other intellectual property rights in the Website and its content (including without limitation the Website design, text, graphics and all software and source codes connected with the Website) are owned by or licensed to The Back Room Chiropractic Ltd or otherwise used by The Back Room Chiropractic Ltd as permitted by law. 6.2 To the extent permitted by law, The Back Room Chiropractic Ltd will not be liable for any indirect or consequential loss or damage whatever (including without limitation loss of business, opportunity, data, profits) arising out of or in connection with the use of the Website. 6.3 The Back Room Chiropractic Ltd makes no warranty that the functionality of the Website will be uninterrupted or error free, that defects will be corrected or that the Website or the server that makes it available are free of viruses or anything else which may be harmful or destructive. 6.4 Nothing in these Terms and Conditions shall be construed so as to exclude or limit the liability of The Back Room Chiropractic Ltd for death or personal injury as a result of the negligence of The Back Room Chiropractic Ltd or that of its employees or agents. 7 INDEMNITY – You agree to indemnify and hold The Back Room Chiropractic Ltd and its employees and agents harmless from and against all liabilities, legal fees, damages, losses, costs and other expenses in relation to any claims or actions brought against The Back Room Chiropractic Ltd arising out of any breach by you of these Terms and Conditions or other liabilities arising out of your use of this Website. 8 SEVERANCE – If any of these Terms and Conditions should be determined to be invalid, illegal or unenforceable for any reason by any court of competent jurisdiction then such Term or Condition shall be severed and the remaining Terms and Conditions shall survive and remain in full force and effect and continue to be binding and enforceable. 9 GOVERNING LAW – These Terms and Conditions shall be governed by and construed in accordance with the law of England and you hereby submit to the exclusive jurisdiction of the English courts. 8 – 10 High Street, Twyford Reading, RG10 9AE.